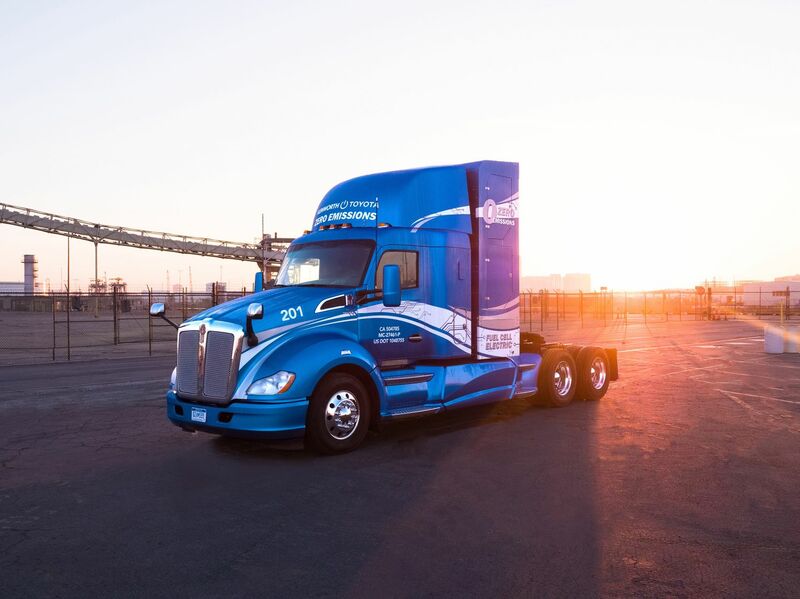 TORONTO, Ontario (Jan. 8, 2019) – Kenworth Truck Company and Toyota Motor North America are collaborating to develop 10 zero-emission Kenworth T680s powered by Toyota hydrogen fuel cell electric powertrains. This collaboration is part of a $41 million Zero and Near-Zero Emissions Freight Facilities (ZANZEFF) grant preliminarily awarded by the California Air Resources Board (CARB), with the Port of Los Angeles as the prime applicant. The grant monies are part of a larger $82 million program that will put fuel cell electric tractors, hydrogen fueling infrastructure, and zero emissions cargo handling equipment into operation in the ports and Los Angeles basin in 2020. “This is not just a science experiment; the goal is to make a difference in society. To remove pollution and improve the air quality in and around the Port of Los Angeles,” said Bob Carter, executive vice president, Toyota Motor North America.